This is a decorative painting I did inspired by a friend's wallpaper. 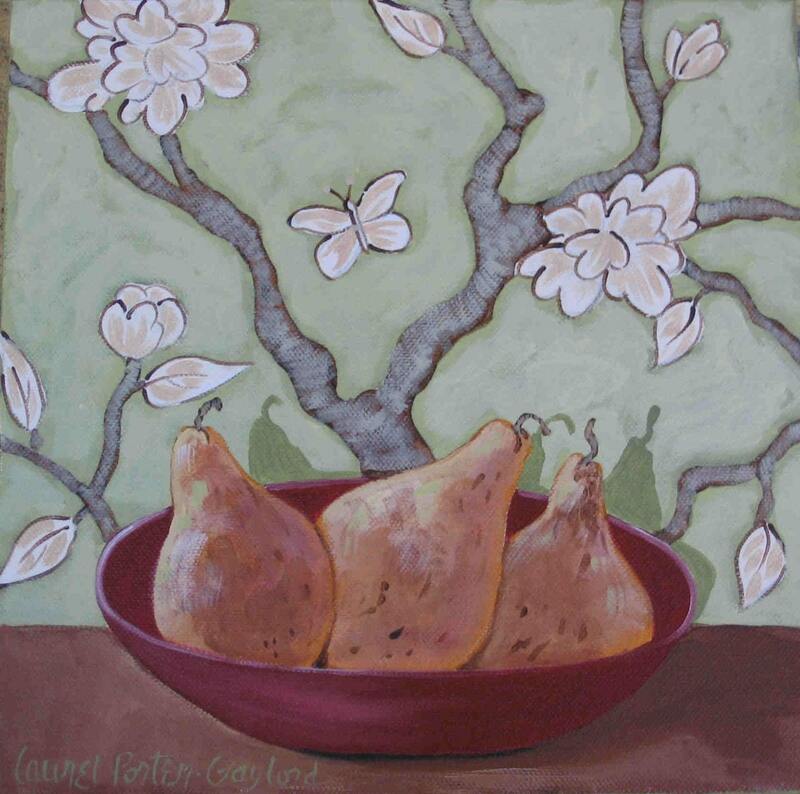 I just placed three pears in a simple red bowl for an eye-pleasing, calming effect. The wallpaper butterflies are glittered. Each notecard measures approx 4x5" and comes with a matching envelope in a cello sleeve. The cards are blank so you may compose your own thoughts.